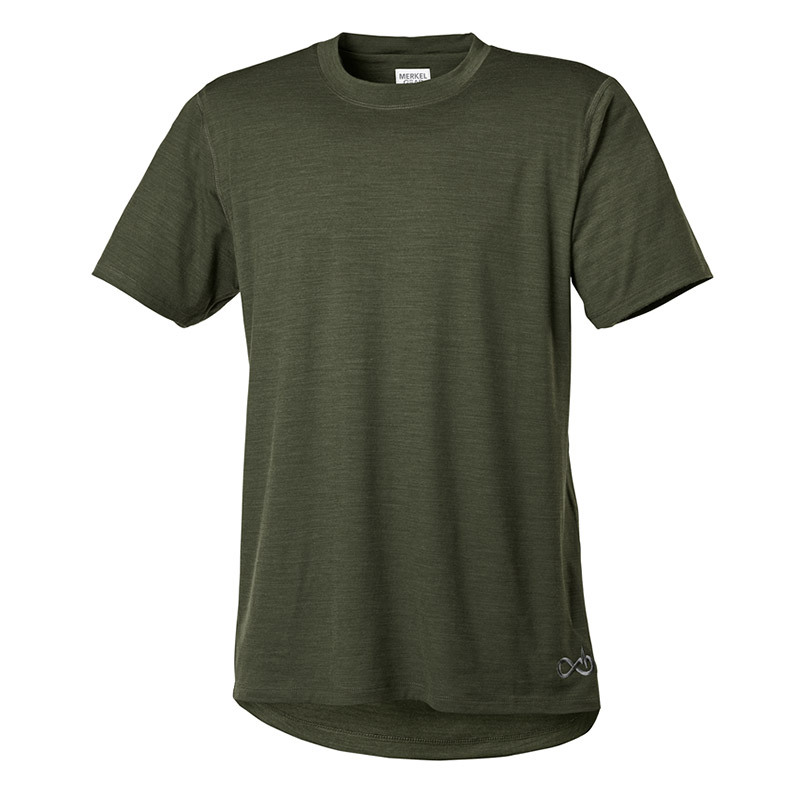 The fit of this shirt will be known as well cut – the times of unshapely “hunting tents” are over! 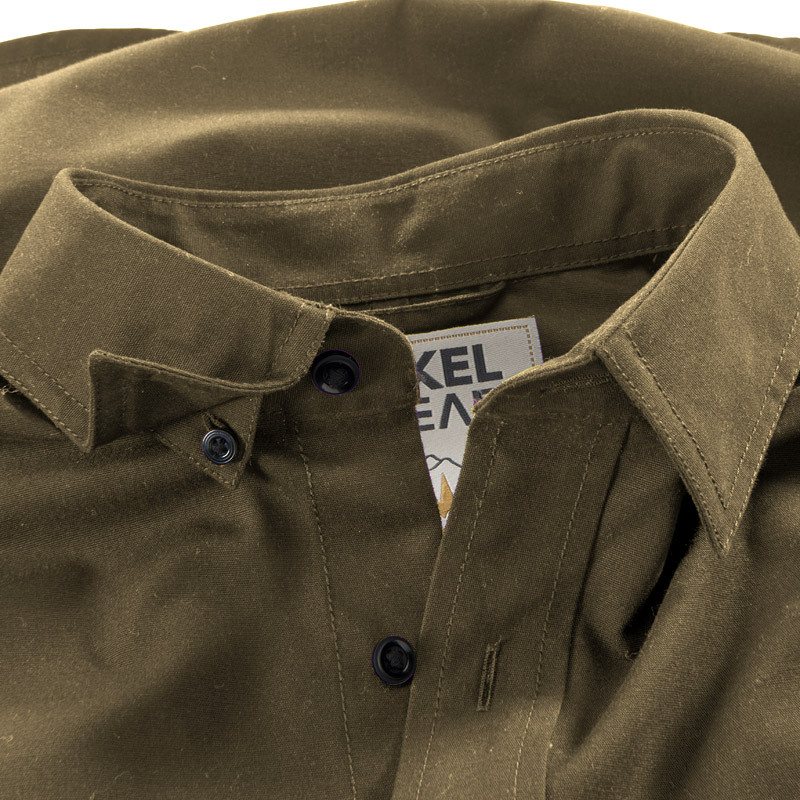 In the back the shirt is slightly longer, as is usual for Merkel GEAR tops; in the front it ends shortly below the belt, so it can be worn comfortably inside the waistband or out. The sleeves are three times pre-shaped, long enough and sufficiently widely cut. The outer fabric is an extremely tear-resistant, brushed combination of polyester and cotton twill, which will even withstand African thorns. The armpit areas of the shirt are a highly elastic, fine-pored net fabric, which relieves the main seams when under too much strain. Furthermore, they provide pleasant ventilation on hot days. 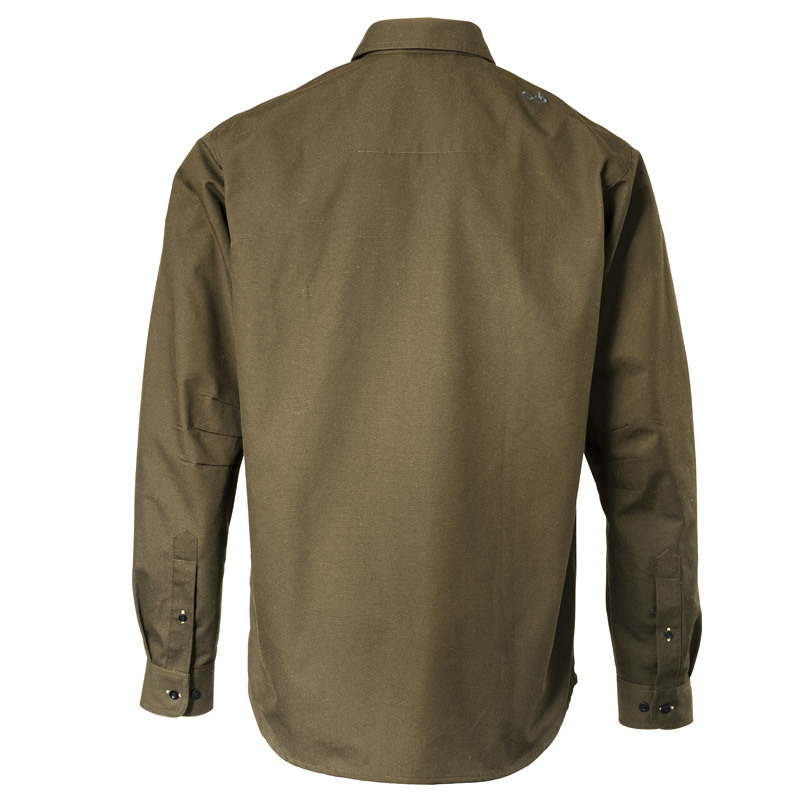 The shirt has a concealed Button-Down-Collar, which prevents contact between the buttons and the stock wood and holds the collar where it belongs in critical moments. 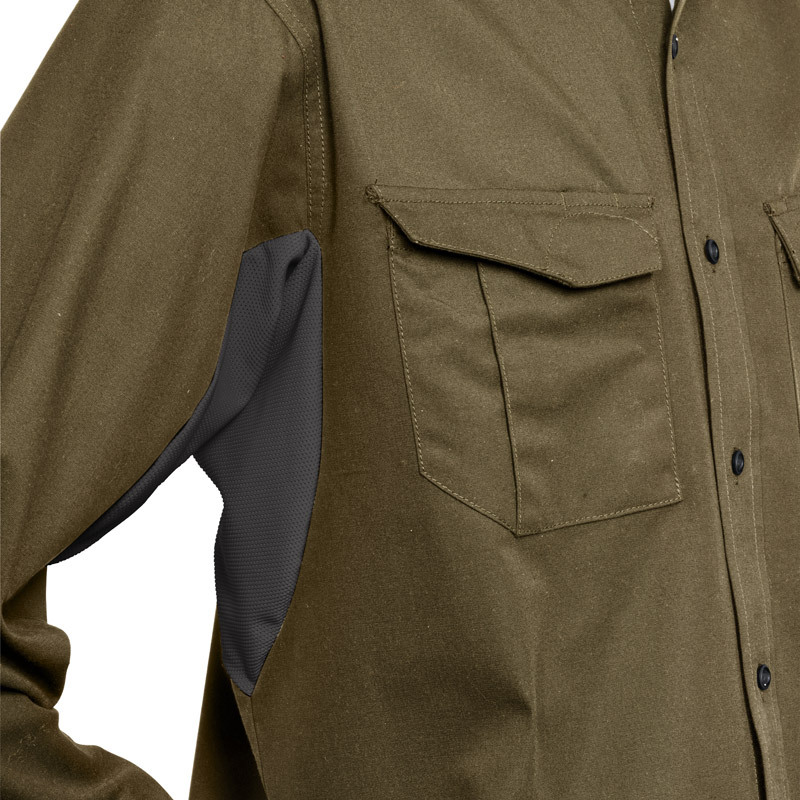 The attached breast pockets of the hunting shirt have penholders and sufficient room for all kinds of small items. A smartphone pocket made from stretchy net fabric is worked into the left breast pocket. 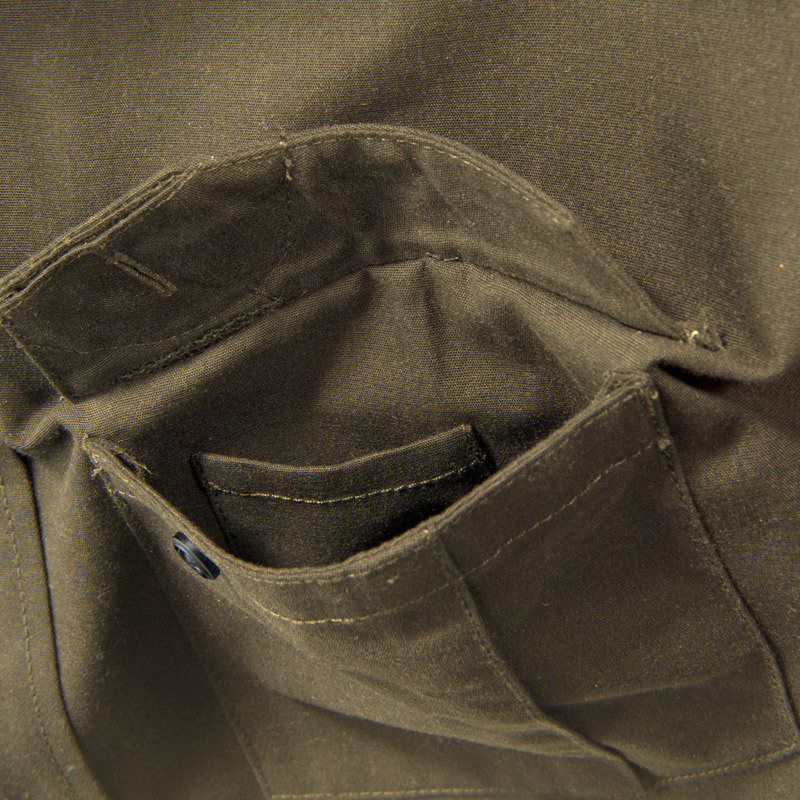 The right breast pocket has a zipper for lateral access and a cloth strap for securing important small items like keys. The buttons of the pockets are also concealed in order not to noisily bump against something in the wrong moment. 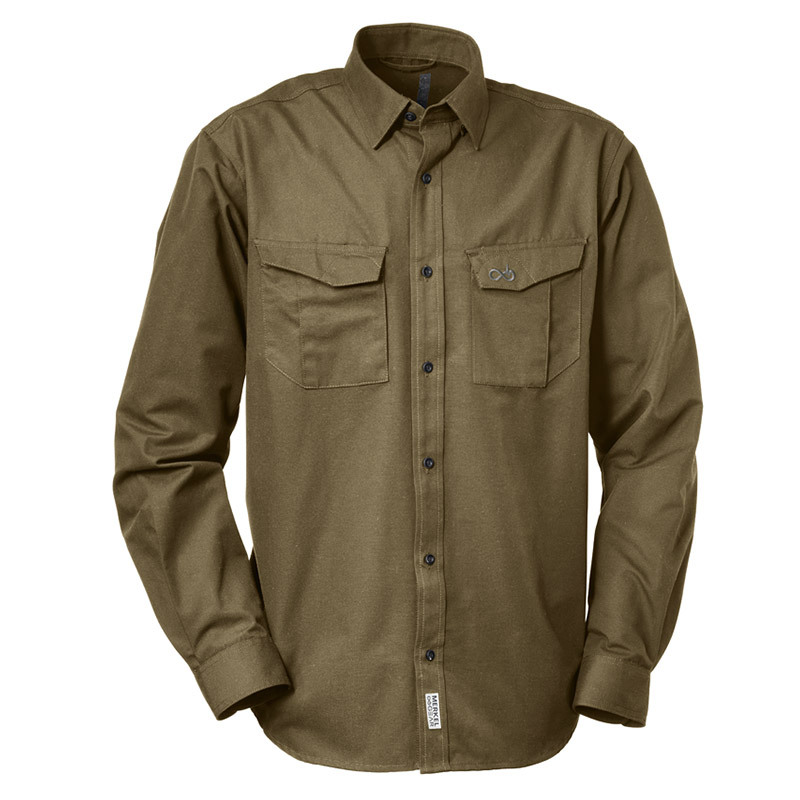 At the left side seam the Hunting Shirt has a secret pocket with invisible zipper, for travels in unsafe territories.